Catalogue > Cities: maps and sights of cities and villages > 4. North Holland > AMSTERDAM. Zeerecht Kampersteiger en Schreierstoren. 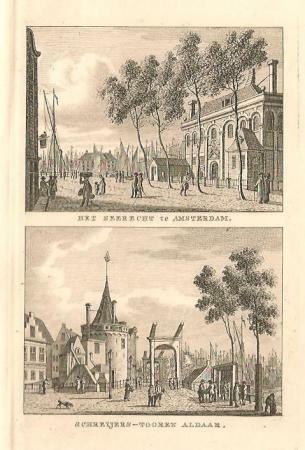 HET ZEERECHT te AMSTERDAM. SCHREIJERS-TOOREN ALDAAR.